Balans, a brand new Swedish 4% ABV alcoholic drink, is lightly sparkling and refreshingly balanced. Alcohol meets a delicate infusion of water and natural fruit flavours to create the UK’s first Aqua Spritz. Balans Aqua Spritz is available in two subtle and refreshing fruit flavours, Mandarin and Lime. It also comes packaged in a ready to drink 250ml can, ideal for weekend trips away and on the go. Here at Balans, we say no to compromise and yes to embracing each and every moment. 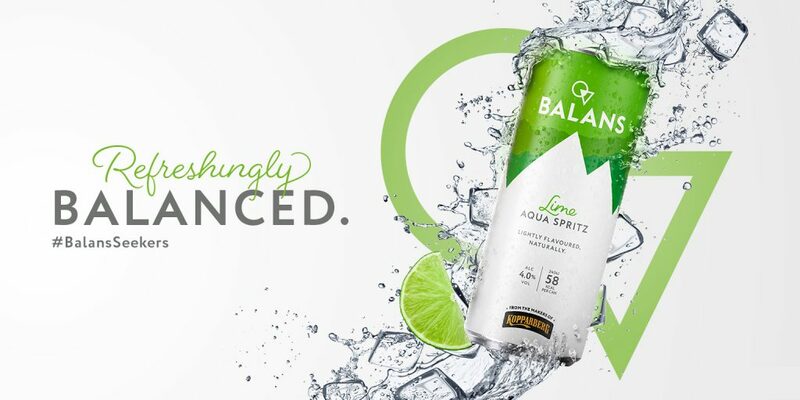 With 60 calories a can or less, naturally flavoured, gluten free and vegan friendly, Balans proves there’s no need to miss out when opportunity arises– yes, having the best of both worlds is finally here. Don’t miss out, join the movement.